Having retained her English Schools intermediate shot put title in July, 16-year-old Divine Oladipo is channelling all her energy into producing her best at the Commonwealth Youth Games in Samoa this month. The Blackheath & Bromley Harrier is no stranger to national success. Last year she won English Schools, England Athletics under-17 and UK School Games events and thoroughly enjoyed pulling on her national kit for the first time when she represented England schools at the SIAB Schools International in Cardiff. In Samoa, Divine is aiming to improve her PB in her first major international championships. “I want to at least get a PB and fingers crossed, make it into the final,” she says. 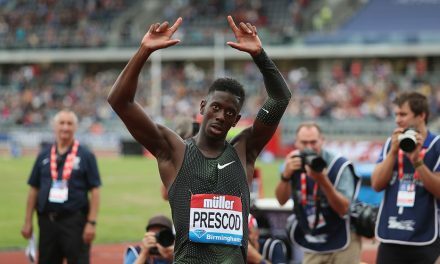 “I also throw the discus and would like to throw further in that event too,” she adds, speaking of her 45.63m PB, which places her 12th on the UK age-group rankings. It is clear Divine is a talent in good hands. 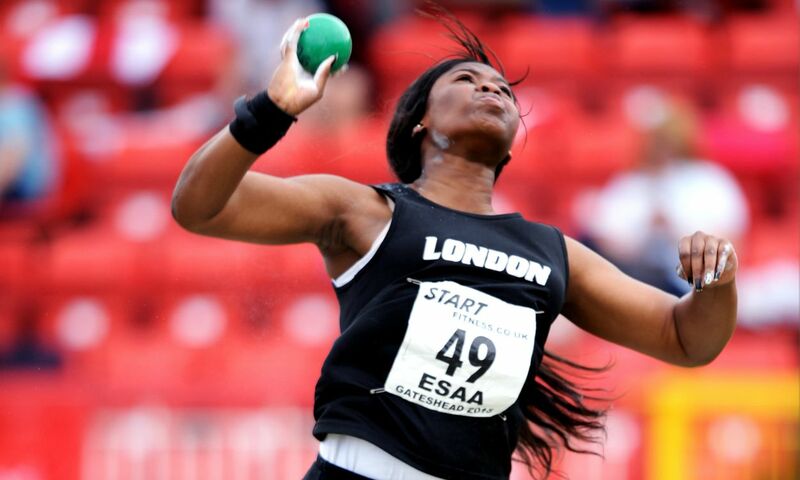 Coached by the experienced John Hillier at Sutcliffe Park in Eltham, she trains alongside last year’s British shot champion Scott Rider, Commonwealth Games hammer thrower Shaunaugh Brown and English Schools discus champion Georgie Taylor. However, Divine is quick to credit her first athletics coach, Mick Bond, who encouraged her to change to throwing from sprinting, and her previous throws coach, Peter Wilshart. “We all remain one big throws family training together,” she says. Divine’s biggest aim is to be sponsored by Nike in the future. “All my clothes are Nike,” she says, justifying her wish. You can find further performance stats on Divine on Power of 10 here.